Microgaming casinos have seven great Roulette options, including French roulette and a progressive jackpot game, plus a roulette game in the mobile suite. French Roulette: A single zero wheel is used with the European surrender rule, in which the player only loses half of any money bet (red, black, odd, even, 1-18, 19-36) if the ball lands in zero. The even money bets have a house edge of 1.35%. Roulette Royale: A single-zero wheel with a $1 side bet for a Progressive Jackpot. The side bet wins if the same number occurs at least twice in a row. You get the Progressive Jackpot for 5 consecutive spins the same, $3000 for 4 spins, $200 for 3 spins and $15 for 2 spins the same. If the same number occurs on 2 consecutive spins. When the progressive stands at over $781,626.03 or the house to have no advantage. European Roulette: A single zero wheel is used. The house edge is 2.70% on all bets. 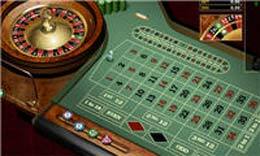 European Roulette Gold – In European Roulette Gold you can place Neighbor bets and Call bets. Premier Roulette Gold – lets you customise your table, choosing the look and feel of your game by selecting your own roulette wheel and felt. American Roulette: A double zero wheel is used. The house edge is 5.26% on all bets except the 5-number combination at 7.89%. There is also a Roulette game in the mobile suite. Multi-award winning Microgaming software is the most popular brand amongst online players. Microgaming casinos offer an enormous selection of games, and have an excellent reputation for service and reliability. The software comes in download or non-download versions. 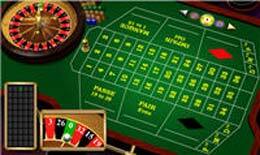 Comments & Feedback on "Microgaming Roulette Review"